(Newburyport MA) Wait until they’ve been together for a while! 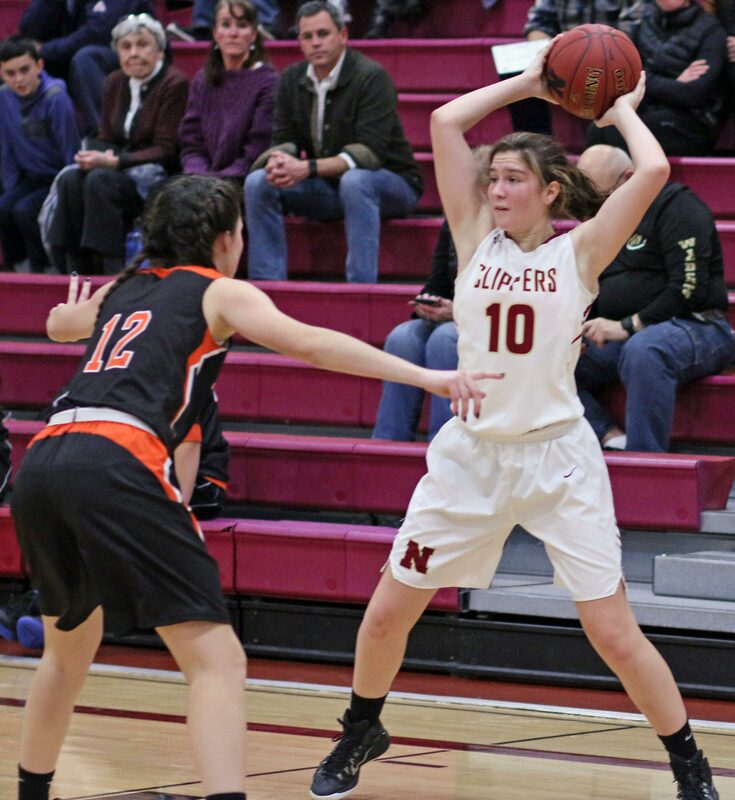 Newburyport (2-0) put their lack of full-team practice time behind them and defeated Ipswich, 58-41, on Tuesday night in Cape Ann League action. “Yesterday (Monday) was the first day where we have had the whole team at a practice,” explained Clippers coach Gregg Dollas afterwards. The lack of practice time together didn’t seem to faze the Clippers (2-0) in the early going against the Tigers (1-1). 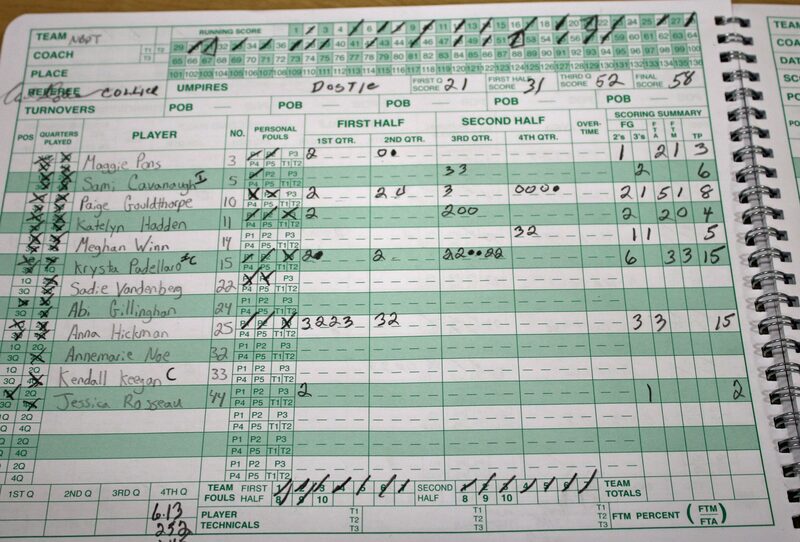 The home team ran fifteen straight points in the first quarter and Ipswich never recovered. NHS was a marvel at both ends of the court for the first 9+ minutes and sailed to a 26-4 advantage. Extra passes were made, and shots were falling. 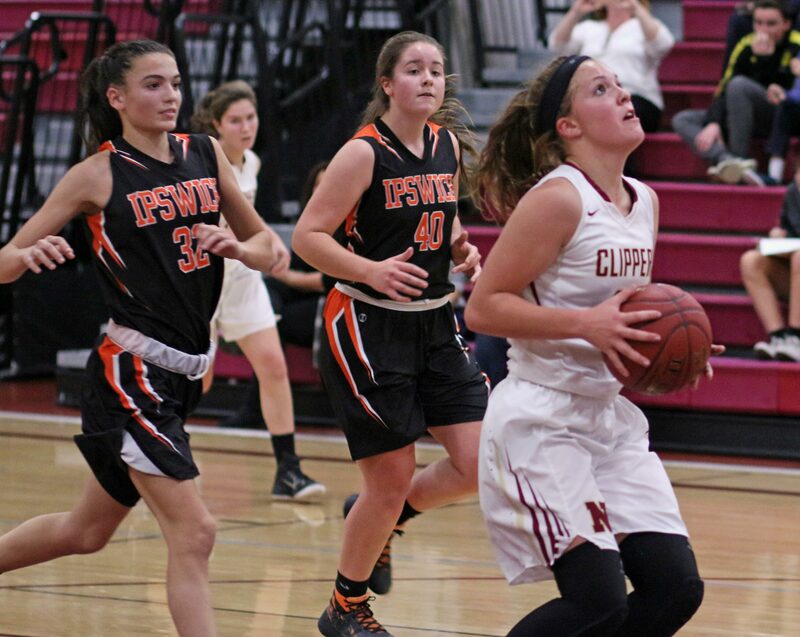 Junior Anna Hickman had three 3’s to key the fast Newburyport start. 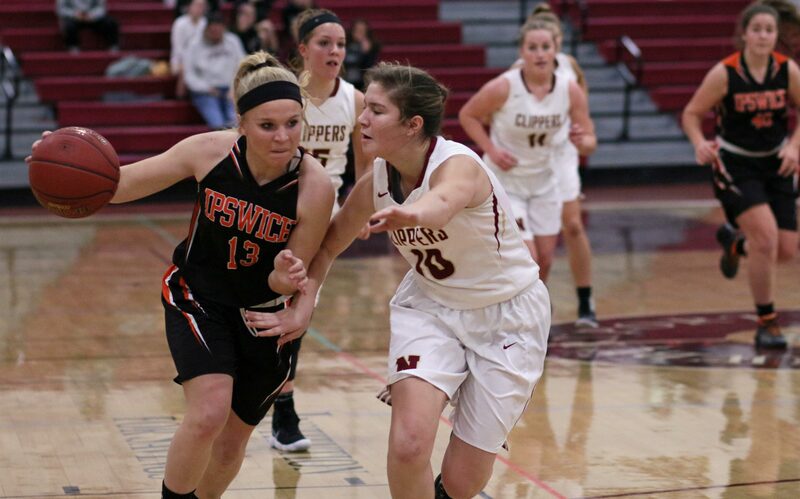 At the other end, Newburyport jumped into passing lanes and created ten Ipswich turnovers in those same 9+ minutes. A rout in the making? Not so fast. 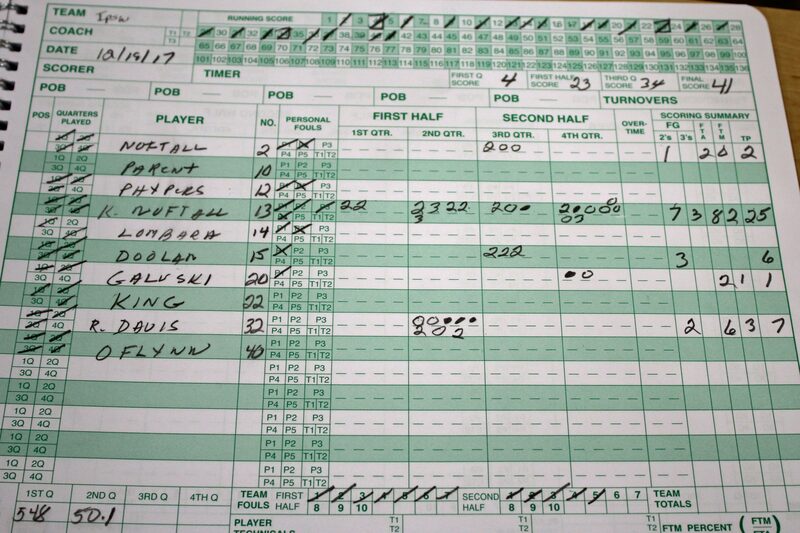 Newburyport still had a nice lead (30-9) with five minutes to go in the second quarter but the rest of that quarter was all Ipswich as they finished on a 14-1 run. 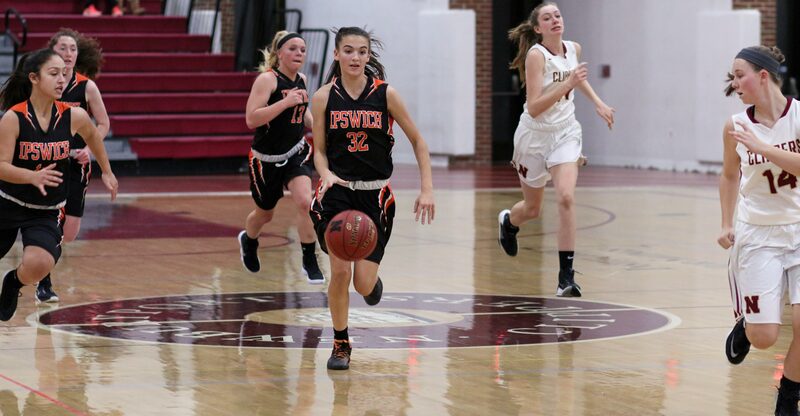 The scoring combo of freshman Riley Daly and junior Catherine Noftall put up the points for the Tigers bringing the visitors to 31-23 at the half. “In the second half we passed, moved, and cut more and got open shots, and they were falling,” said Coach Dollos of his team’s play. 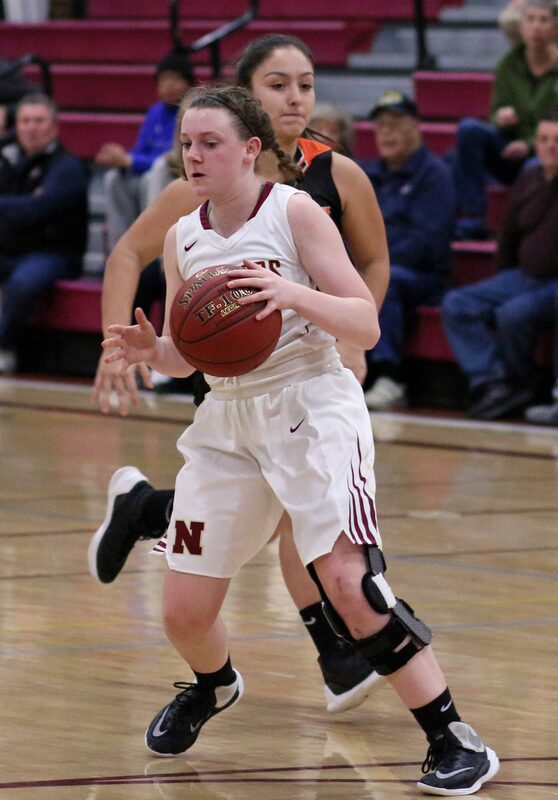 Senior Krysta Padellaro (15 points) initiated Newburyport’s second-half separation with six unanswered points. 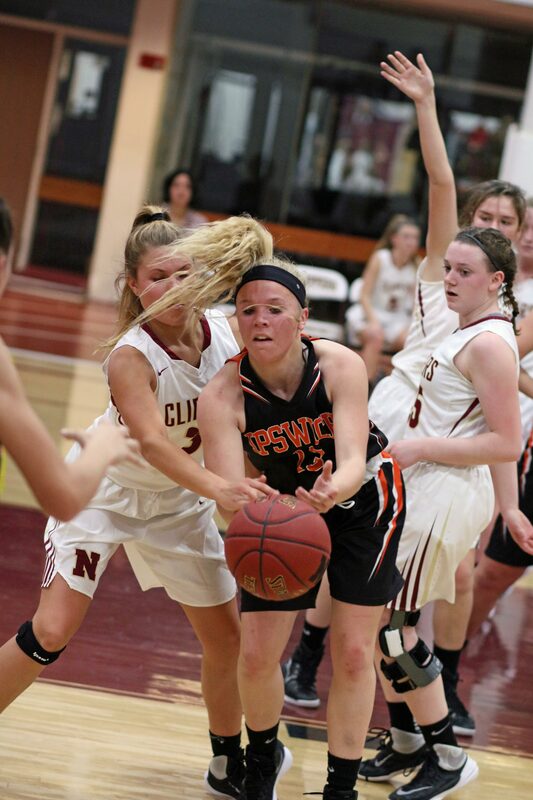 Krysta had assists from Paige Gouldthorpe and Katie Hadden on two of her baskets. Now up by fourteen (39-25), NHS put the game out of reach from long range. 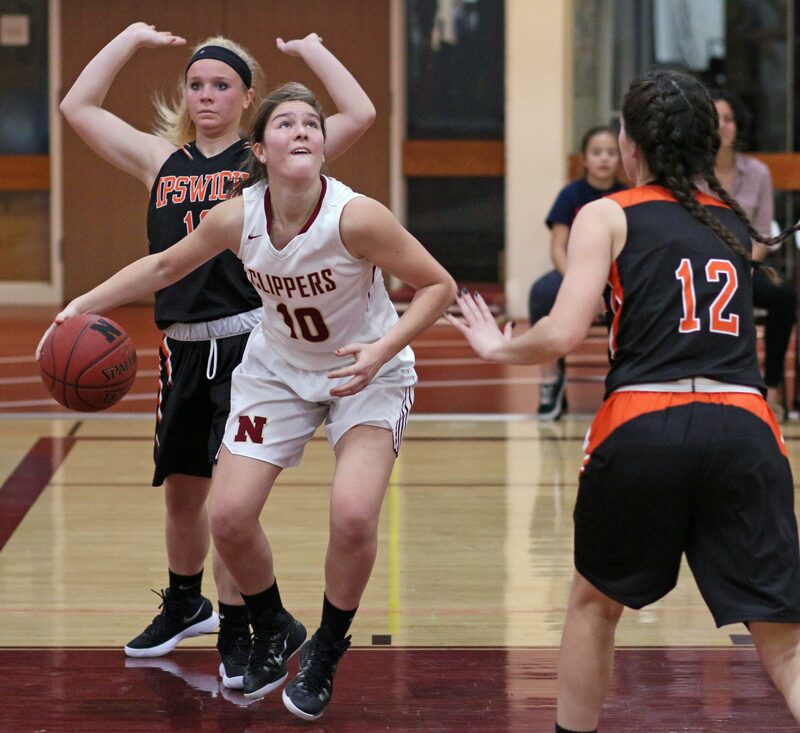 Sophomore Sammy Cavanaugh turned two feeds from Katie Hadden into 3-pointers in two straight possessions and then assisted Paige Gouldthorpe on yet another long-range shot. That collection of accuracy stretched the Clippers advantage to 48-29 with two minutes left in the third quarter. 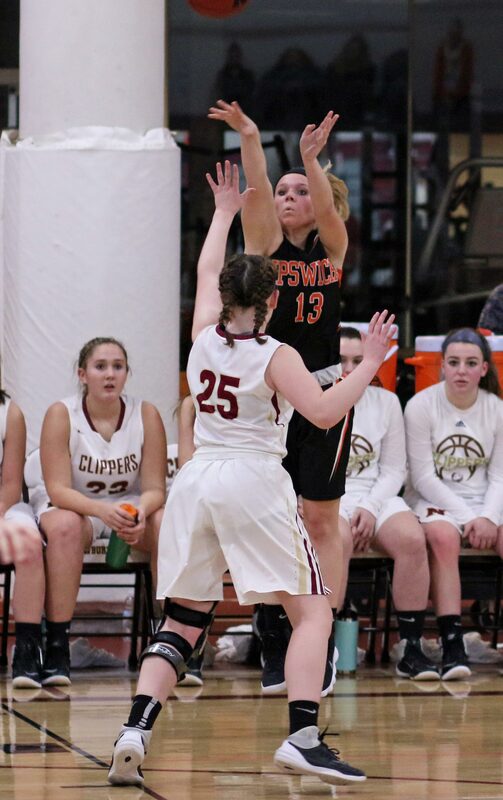 Junior Katherine Noftall (25 points) had a 16-point first half to give Ipswich a chance. Impressed by the passing of Katie Hadden. Unofficially, I had her for six assists. 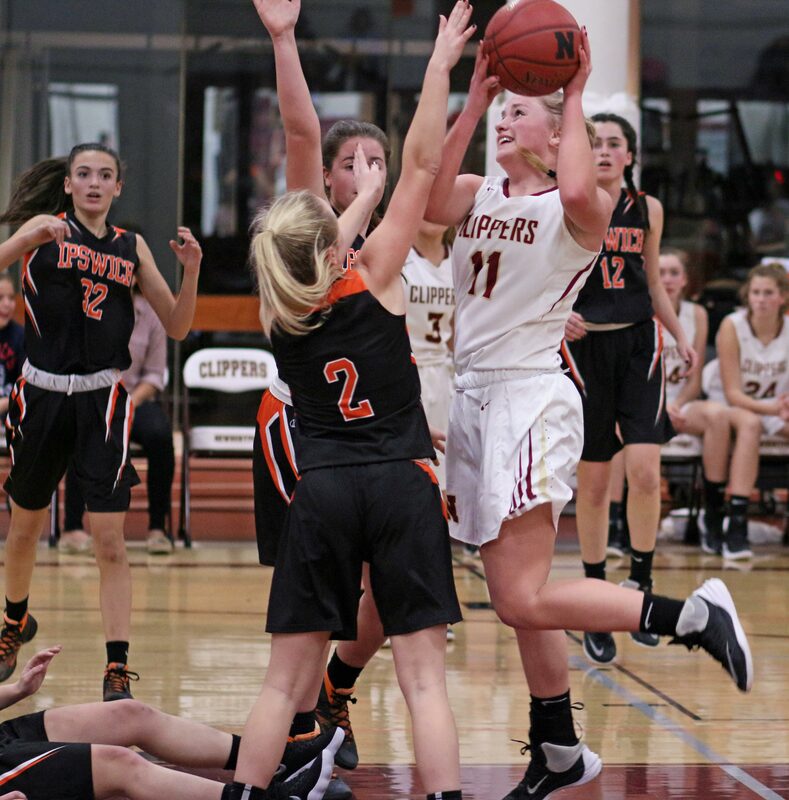 When things were going well for Newburyport, almost every player would touch the ball during a possession and open shots turned up. 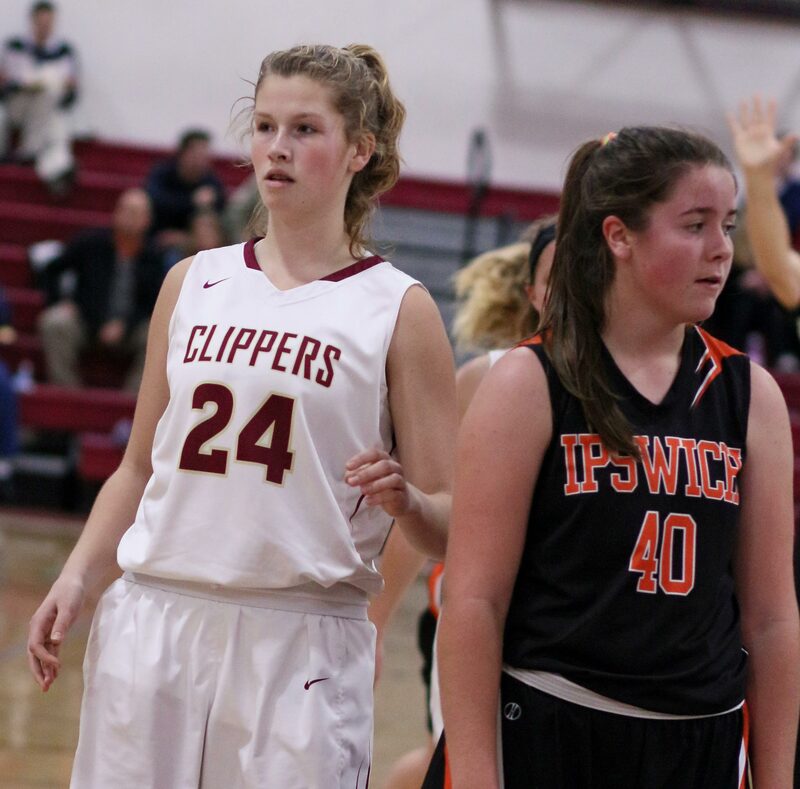 The Newburyport pressure didn’t seem to bother Ipswich. The Tigers’ trouble was in the half-court. Many of their twenty-one turnovers were off poor passes. 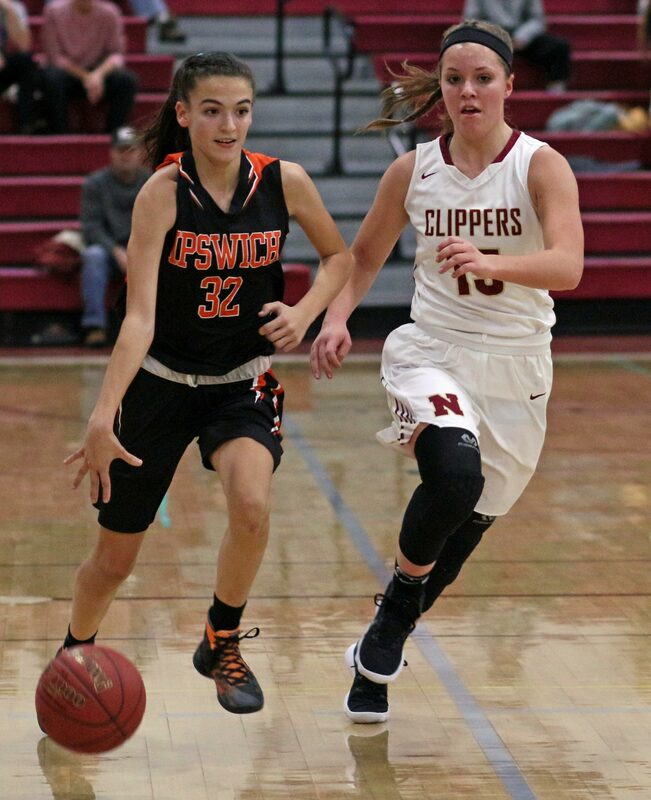 Ipswich freshman point guard Riley Daly had some good moments. She handled the pressure nicely. The Tigers will play this season without last year’s top scorer and rebounder, Anna Davis. Newburyport has now defeated Ipswich three straight times. 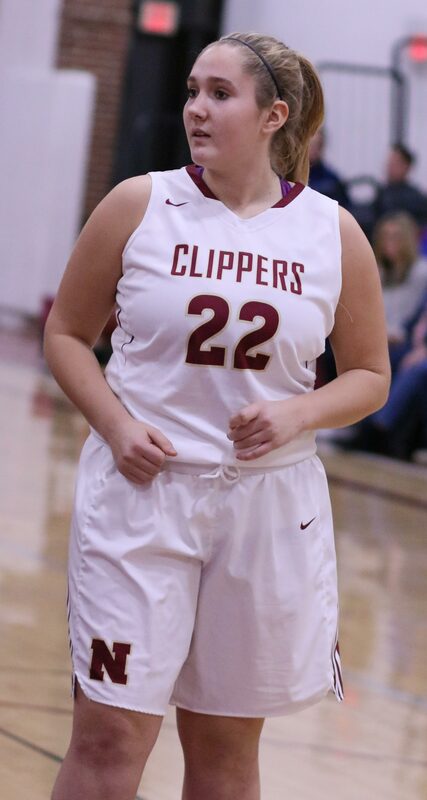 Krysta Padellaro had nineteen points in the Clippers opening-game win over North Reading. Any game involving Ipswich is special to me. Why? I taught there thirty-seven years and there are always folks in the crowd that I knew back in the (long ago) day. Katie Hadden (11) had six assists. Here she draws contact.